I have always been a firm believer that breakfast is the most important meal of the day. A good, substantial breakfast sets you up nicely for the rest of the day. This holds true for any normal day, but the real significance of a hearty breakfast becomes glaringly obvious when you set off on a challenging ramble or a bike ride. Needless to say, a routine breakfast in our home includes porridge. Oats are an excellent source of slow-release carbohydrates, releasing energy gradually and keeping you fuller for longer. 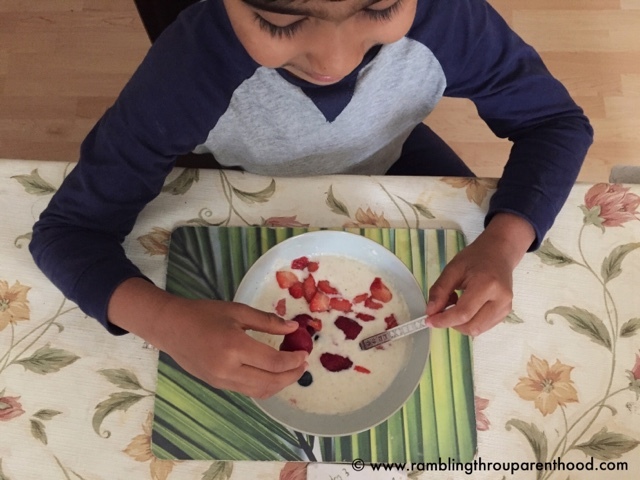 Most parents will baulk at the thought of trying to get their kids to eat porridge oats. But porridge need not be boring. Ready Brek is a porridge designed especially for fussy little eaters. It has all the goodness of porridge oats and is fortified with vitamins and minerals to keep young growers strong and healthy. Ready Brek contains no added salt or sugar and is super smooth once cooked, so is perfect for those who don’t like lumps. It has an all-green traffic light rating on a standard portion size, meaning you get the nutrition without the junk. To make things even more exciting, Ready Brek has teamed up with the much-loved children’s book, We’re Going On A Bear Hunt. They are setting off on a joint adventure, and are inviting you to join in for some fantastic outdoor fun. The new Ready Brek collaboration packs feature beautiful artwork from the Bear Hunt film. You also get an original Bear Hunt guide on the back, with ideas to get children involved in outdoors and imaginative play. If you are looking for more adventure ideas, the publishers of We’re Going On A Bear Hunt have two new books to help with just that. The ‘My Adventure Field Guide’ is a colourful picture guide to nature. J has been browsing his copy with earnest and discussing constellations and cloud formations with me. Always a good sign, I think. It is the perfect companion to the ‘My Explorer Journal’ where children can write, sketch and stick their nature discoveries. We have plans to put the books to good use over the upcoming summer holidays. I am going to give you another very good reason why Ready Brek is perfect even for early morning, rush-hour breakfasts. It cooks in 90 seconds in the microwave. Just enough time to plan a new adventure for the day! 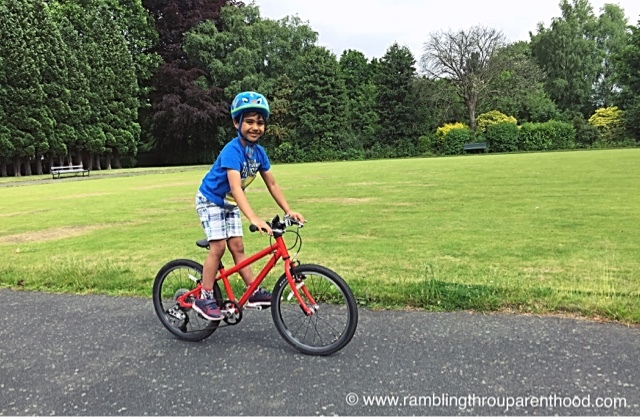 Or if you, like me, have a cycling enthusiast, enough time to kit up for a bike ride. 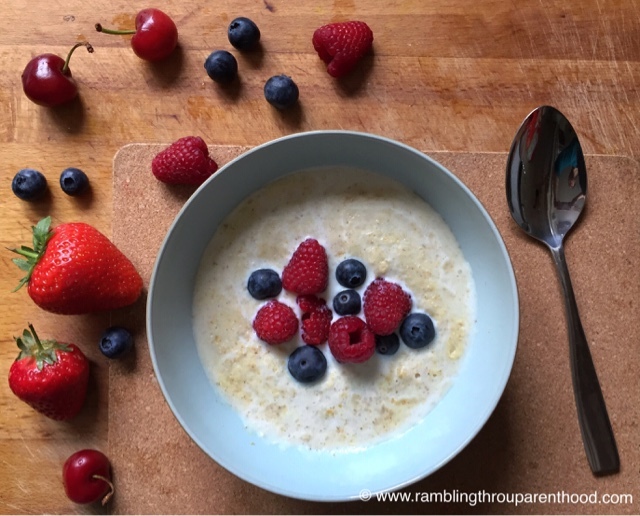 We love eating our Ready Brek porridge piled up high with delicious berries. 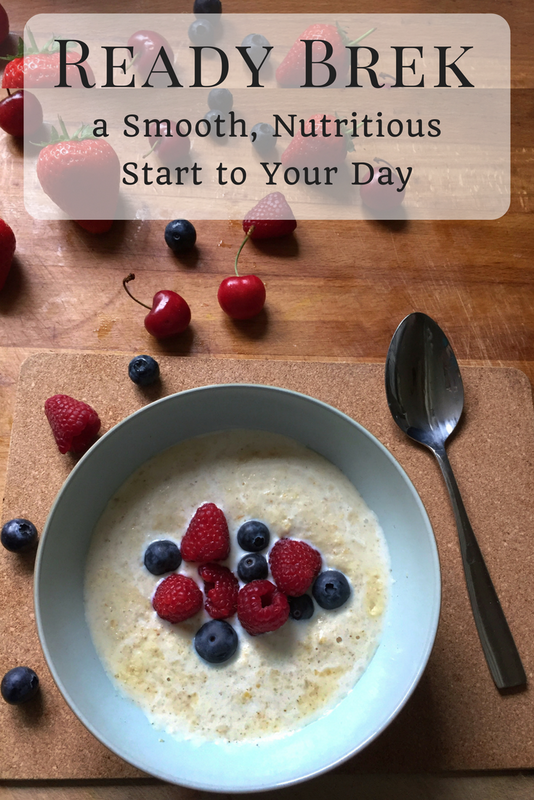 It works as a well-balanced, nutritious start to an active day. How will you eat your Ready Brek? 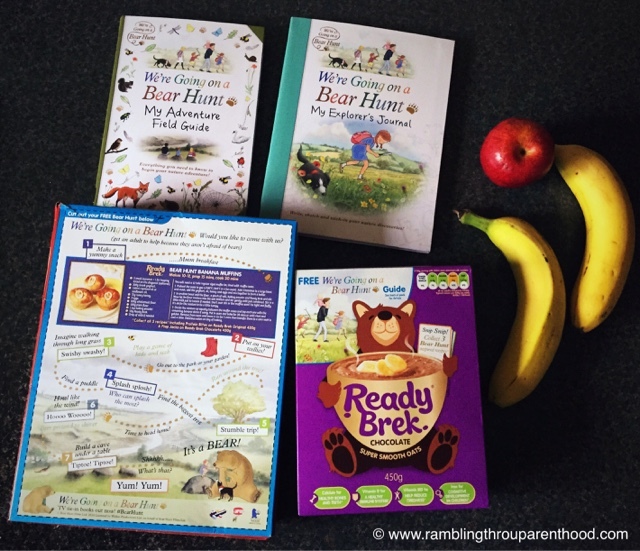 To celebrate this exciting new partnership designed to help kids adopt a healthy, balanced lifestyle, we are giving away a Ready Brek/ Bear Hunt bundle to one lucky reader of my blog. 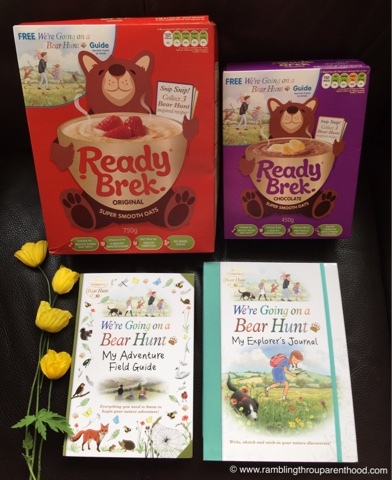 The winner will receive 2 packs of Ready Brek smooth porridge and a copy each of the Bear Hunt field guide and explorer journal. Disclosure: I received review samples for this blogpost and was compensated for my time.